Industrial lifting Cargo Nets by Lift-It Manufacturing, Inc.. With over 30 years experience in the cargo net, sling and rigging industries, we are your one stop shop for all of your heavy rigging and lifting needs. When Only the Best is Good Enough! Rope Cargo Nets are used to load and unload cargo using a lifting method that draws the corners of a net around its load to a gathered point located above the load providing secure and balanced lifting. Rope Cargo Nets can be used for a variety of lifting applications. Lift-It Nylon Rope Nets are made to fit your dimensional requirements. Rope Net bodies feature a knotted diamond mesh with 2, 3.5 or 4 inch knot to knot openings. Rope borders are 5/16 in polypropylene. All materials are treated with a UV inhibitor to minimize degradation. Lift-It® Wheel Nets are used in pairs to handle vehicles of various sizes and weights. Standard models are offered for Style “R” Wheel Nets, but in many instances Wheel Nets are designed and fabricated to meet specific application requirements. 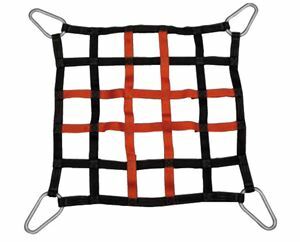 Lift-It® Flight Deck Nets, or sometimes referred as Flight Deck Safety Nets , fabricated from slotted webbing with a standard haze gray latex finish. The webbing is certifiable to MIL-W-23223A, specification for slotted webbing. Rectangular and triangular nets, as well as chock and causeway roller nets to NAV Ship Drawing Number 804-1363948, Revision ‘G’ and Drawing Number 803-5184097 are also available.